Using bandwidth like fish; rolled RF transformers; recycling plastic for batteries. Researchers from the University of Georgia developed a method to make fuller use of wireless bandwidth, inspired by a cave-dwelling fish’s jamming avoidance response. Eigenmannia fish live in complete darkness, sensing their environment and communicating through emitting an electric field. 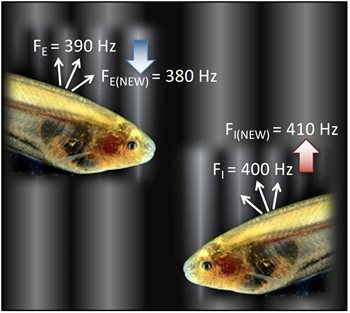 When two fish emit signals at similar frequencies they can interfere with each other, however Eigenmannia can adjust their electric communication signals so that they don’t interfere with those coming from other nearby fish. To mimic the jamming avoidance capabilities of Eigenmannia, the researchers used an off-the-shelf semiconductor optical amplifier (SOA) to mimic its jamming avoidance response, or JAR. The SOA identifies the properties of its own emitted signal and uses that as a reference to detect a potential jamming and to determine if that signal is higher or lower in frequency. It then moves the emitted signal away from the potential jamming signal. Because the jamming avoidance system is light-based, only slight adjustments are needed to use it with a wide range of frequencies. Using a light-based device also allows faster automatic response to a potential jamming signal than an electronic system could accomplish. Applications include avoiding unintentional jamming when radars aboard planes or military vehicles are operating in the same area, or in environments such as hospitals where wireless devices can interfere with wireless transmissions coming from medical instruments. The researchers also hope it could bring down the cost of using the wireless spectrum, making it more affordable to bring mobile technology to developing countries. The researchers are now working to improve the system so that it can respond to more than one jamming signal nearby. They also want to make the system portable and more user friendly. 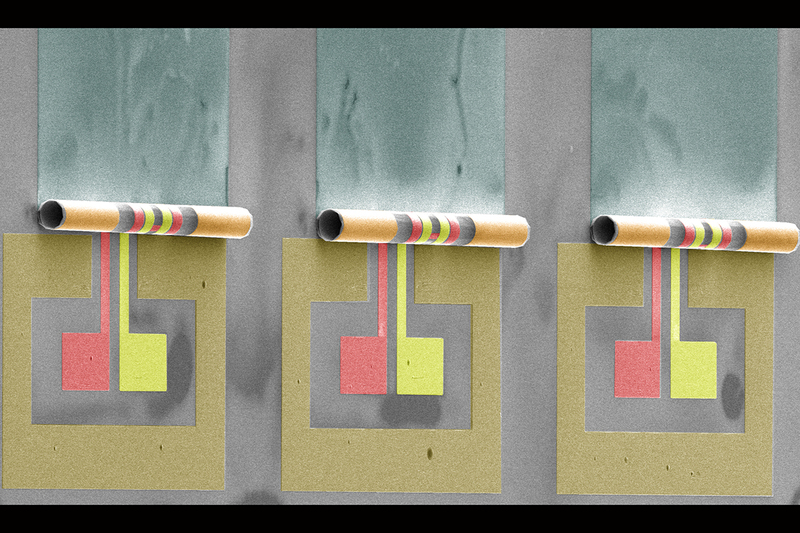 Engineers at the University of Illinois are working to shrink the size of radio frequency transformers, creating a three-dimensional rolled-up version that takes 10 to 100 times less space and also performs better when the power transfer ratio increases. The new transformer design uses techniques the team previously developed for making rolled inductors. “We are making 3-D structures using 2-D processing,” said Xiuling Li, a professor of electrical and computer engineering at the University of Illinois. The team deposits carefully patterned metal wires onto stretched 2-D thin films. Once they release the tension, the 2-D films self-roll into tiny tubes, allowing the primary and secondary wires to coil and nest perfectly inside each other into a much smaller area for optimum magnetic induction and coupling. The nested 3-D architecture leads to high turns ratio coils. “A high turns ratio transformer can be used as an impedance transformer to improve the sensitivity of extremely low power receivers, which are expected to be a key enabler for IoT wireless front ends,” said Songbin Gong, an electrical and computer engineering professor at the University of Illinois. Rolled transformers can also receive and process higher frequency signals than the larger devices. According to the researchers, the new transformers have a robust fabrication process, are stable beyond standard foundry temperatures and compatible with industry-standard materials. This study used gold wire, but the team demonstrated the fabrication of their rolled devices using copper. 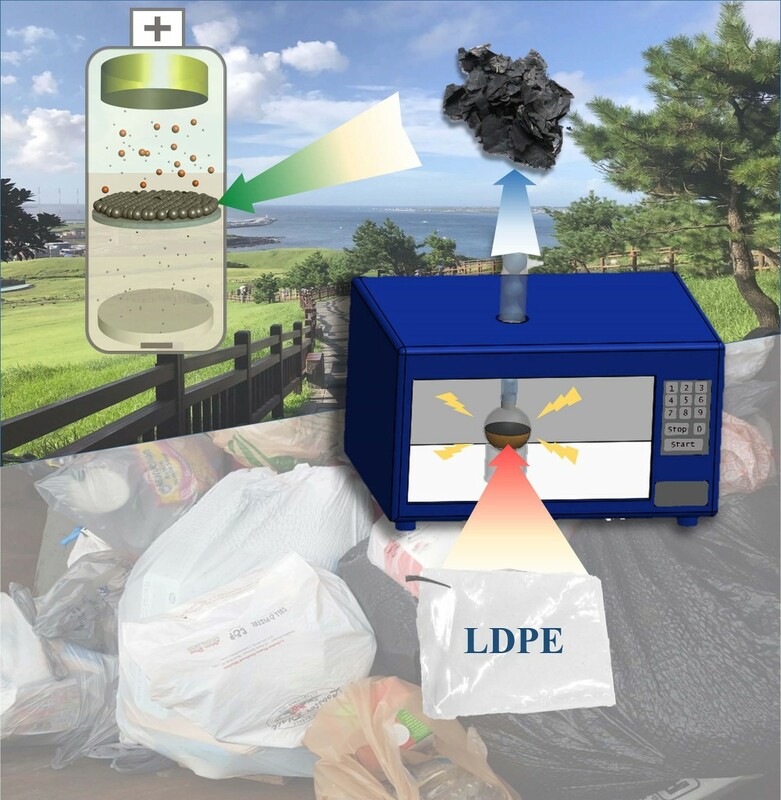 Researchers at Purdue University propose a method to both improve the quality of lithium-sulfur batteries and reuse discarded plastic bags by putting ink-free plastic soaked in sulfur-containing solvent into a microwave, and then into batteries as a carbon scaffold. Lithium-sulfur batteries are cheaper and more energy-dense than lithium-ion batteries, however their lifespan has been limited to about 100 charging cycles. When a current is applied to a lithium-sulfur battery, lithium ions migrate to the sulfur and a chemical reaction takes place to produce lithium sulfide. The byproduct of this reaction, polysulfide, tend to cross back over to the lithium side and prevent the migration of lithium ions to sulfur. This decreases the charge capacity of a battery as well as lifespan. “The easiest way to block polysulfide is to place a physical barrier between lithium and sulfur,” said Patrick Kim, a Purdue postdoc research associate in chemical engineering. The team found that low-density polyethylene plastic, which is used for packaging and comprises a big portion of plastic waste, can be incorporated into a carbon scaffold to suppress polysulfide shuttling in a battery. Past research had shown that low-density polyethylene plastic yields carbon when combined with sulfonated groups. “The plastic-derived carbon from this process includes a sulfonate group with a negative charge, which is also what polysulfide has,” Kim said. Sulfonated low-density polyethylene made into a carbon scaffold, therefore, suppressed polysulfide by having a similar chemical structure. Next, the team plans to fabricate a larger battery using the concept.